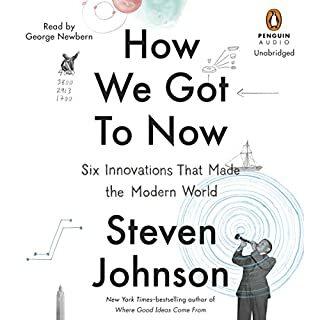 In this volume, Steven Johnson explores the history of innovation over centuries, tracing facets of modern life (refrigeration, clocks, and eyeglass lenses, to name a few) from their creation by hobbyists, amateurs, and entrepreneurs to their unintended historical consequences. Filled with surprising stories of accidental genius and brilliant mistakes - from the French publisher who invented the phonograph before Edison but forgot to include playback, to the Hollywood movie star who helped invent the technology behind Wi-Fi and Bluetooth. I come back to this over and over! This is a fascinating book and the approach the author takes in explaining the interrelated nature of technology and social change is at once insightful and easy to comprehend. Great narration by George Newbern. I like this audiobook immensely. What made the experience of listening to Nobody's Fool the most enjoyable? The combination of Russo's well-developed characters and Ron McClarty's voicing. Russo writes his characters with a lot of depth and there's something eerily familiar about them, as though they're people you already know. McClarty gives these characters life, and purpose. It's as though if Russo hadn't already written this book McClarty would have had to. Hard not to like Sully. Other than that, probably Beryl Peeples. The two characters are so well defined, and despite being such unlikely friends, they fall into such a natural easy companionship. Ron really seems to know these characters intimately, and they are so clearly distinct from each other that the listener can just relax and enjoy the extended dialogue. Beyond that, Ron has a folksy charm and a background as a writer in his own right that makes him a natural storyteller. This actually was made into a movie in 1994 starring Paul Newman. The tag line was Worn to Perfection. Who am I to try and improve on that? 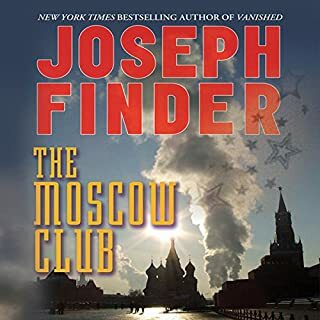 I have been a member of Audible for 13 years, and with literally hundreds of books in my library, this is my most frequent listen. I would guess 6 or 7 times by now. At 25 hours, it's longer than all but a handful of titles, but it never seems to drag. I randomly found myself in the town of Bath, NY a couple weeks back and I couldn't help but give Nobody's Fool another listen as I drove out of town. It was like running into an old friend. Good stuff - you will not be disappointed! Would you try another book from Richard Russo and/or Mark Bramhall? Russo yes, Bramhall not. In fact, I heartily recommend Nobody's Fool and Straight Man, each of which are masterpieces of storytelling. If you're reading this, save yourself an audio credit on this and go directly to one of those. 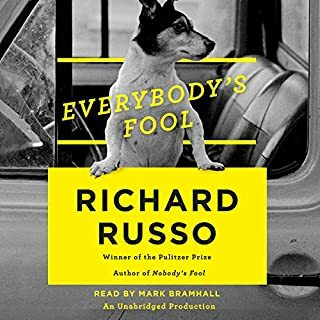 If you’ve listened to books by Richard Russo before, how does this one compare? I have read and/or listened to several Richard Russo stories over the years, and this is the weakest of the lot. Russo himself seems to have lost track of who these characters are. In fairness, even though the story is set ten years later it was published nearly a quarter century after the first. It's a much older Russo that embarked on the telling, and his characters are full of the tired weariness that I can't help but think Russo himself was feeling as he wrote. Eventually something of a story gets going, but it took far too long to get to and in the end it seems to drift away from him again. Would you be willing to try another one of Mark Bramhall’s performances? Not by choice. I sure missed Ron McClarty. Maybe Bramhall can't be faulted for the lesser story, but he is difficult to listen to, and his characterizations so indistinct that many times I found myself replaying passages trying to determine which character it was that was speaking. What character would you cut from Everybody's Fool? Well Jerome for one. But in general it's all the old characters I knew from Nobody's Fool that just aren't themselves.It's like getting caught up on what happened to everyone in a neighborhood where you lived for a long time but had moved away many years ago, and the news about all of your old friends is bad. Even characters like Rub Squiers are somehow mishandled by Russo. At first I thought it was simply the narrator's lack of understanding, but he gets a pass on Rub developing a severe stammer in middle age. That's actually - and needlessly - written into the story by Russo. Poor Rub. 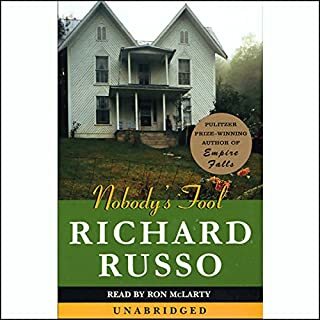 Richard Russo is one of my favorite authors, and Nobody's Fool was my favorite Richaro Russo book. In the dozen or so years that it was in my collection, I have listened to it at least a half a dozen times, the last of which was in late August when I happened by chance to find myself in the Town of Bath, NY. As comfortable as the characters are, so was Ron McClarty's voicing. So when I stumbled upon this sequel immediately after finishing Nobody's Fool, I couldn't have been happier. This happiness persisted all the way until I had downloaded the book and pressed play, whereupon I discovered nearly instantly that this book does not pick up where the joy of Nobody's Fool left off. Clearly, Mark Bramhall had never had a listen to Ron McClarty before he launched into the narration, but it's not only that. Russo himself seems to have lost track of who these characters are. Granted, I had high expectations for this book and that made the letdown worse. Still, I cannot recommend burning a credit on this sequel that, like Sully at 70, is a mere ghost of the proud younger version that came before. 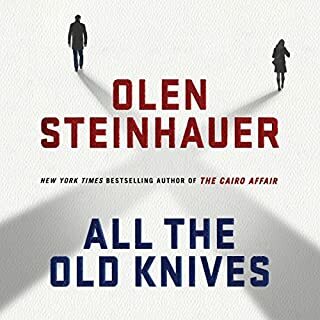 I like Olen Steinhauer novels and I was really looking forward to this book, but it does not live up to its billing. I appreciate that he was trying to keep the suspense going by not revealing what was actually happening until the end, but what he ended up doing was making it so choppy and disconnected that it was hard to make heads or tails of what was actually happening. Maybe its easier to read in print, but as an audiobook this was a swing and a miss. Would you try another book from Joseph Finder and/or Edoardo Ballerini? Yes I would. Finder is much better an author than this book would suggest. For a 17 hour plus book, there is very little to recommend it. The book tried very hard to explain why it was set against the backdrop of the Gorbachev regime, but I was alive during that time and nothing about it seemed to be the story left untold. The characters themselves, despite Finder's attempts, never seem to come alive. They are often wooden, and Finder as their puppetmaster drags them from one scene to another solely because his storyline demands it. I completed the book, but the payoff for all those hours of listening was hardly worth the credit I wasted on it. In fact, it doesn't seem much like a Finder at all. It's more like a first novel written by a middle-level bureaucrat in the first years following his retirement, all the promise of grandeur of these supposed golden recollections tarnished and pitted long before it's completed. To steal an analogy Michael Connelly once used, this novel is an ancient minivan that pulls to the curb in front of the reader, it's engine missing, its door creaking open uninvitingly. Once underway, it reluctantly proceeds down the highway in fits and starts, only far too late reaching its disappointing destination. I have enjoyed the exploits of Gabriel Allon for a few years now. I joined the series in the middle, and I have recently begun working through the first few books of the series. 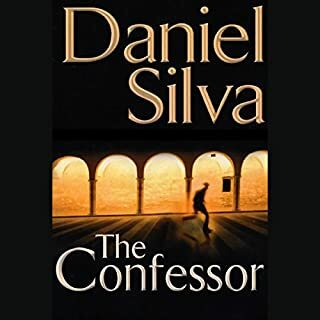 The Confessor is one of my favorites, although I do not care for John Lee as a narrator. My preference is Phil Gigante or Simon Vance, who have each done multiple books later in the series and either of which is vastly superior.